I just returned from a 5 day workshop on Meditation. The best part about 5 days of mediation is the disconnect. I completely unplug and very few are allowed to enter my bubble. The worst part is the re-connect. The immersion into the “other world” again. Everything is noisy, chaotic. People are angry. They’re not breathing! Just five days ago, I was one of these purple-faced, oxygen-deprived, tight-lipped trolls. Fe-fi-fo-ing around, caught up in my own web. Now I’m trying not to giggle at the ridiculousness of TSA. Oh, yeah. I went to an airport after my meditation workshop. My complete expansion was in such juxtaposition with the airport behavior codes, I may as well have been singing and facing the wrong way in an elevator. I floated through the airport in complete wonder, seeing things for the first time. When I got on the plane, I could feel both the fear and wonder of being so high above the ground. We flew back with the sun. I watched the sky turn from yellow, to red, to pink, to grey and streaks of color, to dark velvety blue. We flew over the Boston Harbor and I let the chill of nothing beneath me run up my spine. I saw the old islands, sail boats, and light houses blinking in the grey water with black squiggly waves. Before the workshop, I would have thought, “How beautiful.” and turned back inside the plane. Now, I was the complete experiencer; I was a witness to everything around me. Spongebob Squarepants was playing on the screen in front of me. A woman was bragging about her daughter behind me. The lighthouses and waves were below. My body was in an airplane, thousands of feet in the air. And I was everywhere. Before this workshop, meditation was just something that went with a yoga practice. I liked it, but I could always find excuses to avoid it. Ten minutes lasted a century. Now, I can make twenty minutes pass in a blink of an eye. 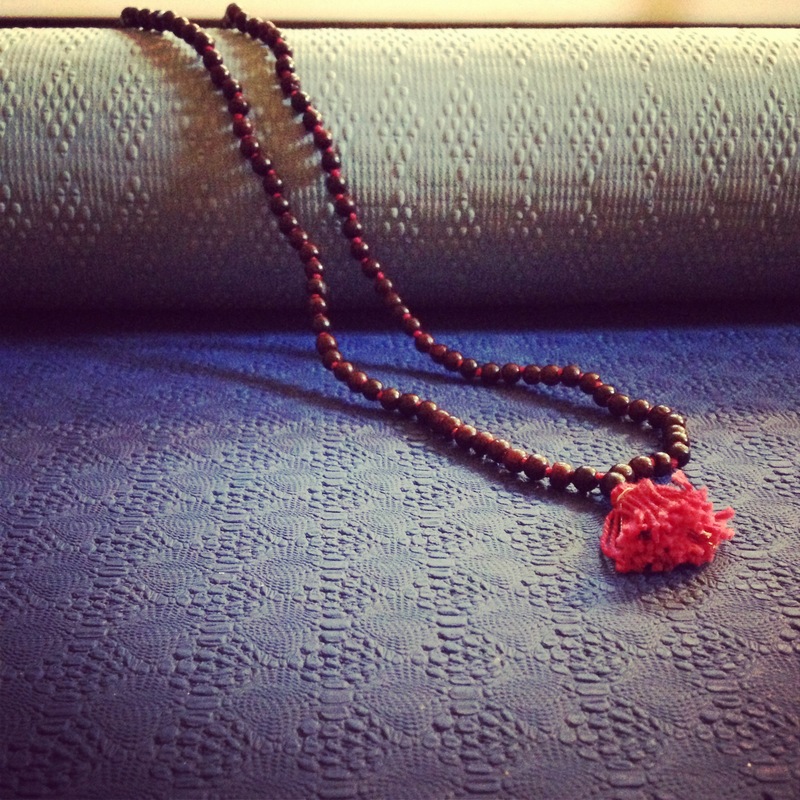 I grab my Mala, and I sit. And I am everywhere. Whatever you want me to feel, I will feel.